Bonus: Mylie Covers Dolly Parton's "Jolene"
Pitbull Remixes Katy Perry's "Dark Horse"
Macklemore Tells Hot 97 Morning Show "Kendrick Got Robbed"
2014 Grammys: Metallica & Lang Lang Performs "One"
First Single off "Young Money: The Rise Of An Empire"
"Justin Bieber smiles for his first police mugshot after being arrested for DRAG-RACING following drink and drugs bender. Looking bleary-eyed and heavily quiffed, the singer is seen wearing a red police issued overall. The singer, 19, spent the morning in custody after being busted for racing in a rented yellow Lamborghini at 4:11am by cops on Miami Beach. A police spokesperson confirmed Bieber was taken to Miami-Dade jail, where he was fingerprinted and had his mugshot taken. The singer told cops he had taken anti-depressants, drank a beer and was smoking marijuana all day." Howard Stern Show - The JD Dating Game. Hey Red Carpet Folks, Don't Spoil "Homeland" for Jennifer Lawrence! How I Met Your Mother - Boyz II Men "Slap Song"
iPhone Commercial Song: Sleigh Bells "Rill Rill"
The 14 track project features from Vado, Mavado, and Kevin Cossom as well as well production from Reazy, Renegade, Beat Bully, Cool & Dre, Brix, Streetrunner, The Mekanics, and others. Thanks to Big Russ for the clip. Ciara Confirms She is Pregnant with Future's Baby on "The View"
Hiphop At Harvard from ammunition on Vimeo. Labels: Scarlett Johannson avengers, Scarlett Johannson her, Scarlett Johannson Joaquin Phoenix . Bria Myles, Pharrell & A Big Cat Help Makes Tyler, The Creator's "Tamale" Video Crazy Cool! Grammy-winning hip-hop artist Q-Tip is partnering withWolf Of Wall Street co-stars,Leonardo DiCaprio and Jonah Hill, to develop a scripted TV series loosely based on the rapper’s experience during the Native Tongue era. There is no writer yet for the drama project, which will be produced through DiCaprio’s production company Appian Way and is expected to be taken out to networks next week. Q-Tip, who has been friends with DiCaprio for a long time, is a founding member of the acclaimed hip hop group A Tribe Called Quest, which he started in 1985 with his high school friends Phife Dawg, Ali ShaheedMuhammad and Jarobi White. The drama project will draw from Q-Tip’s experiences with the group and with The Native Tongues collective that A Tribe Called Quest was a member of, which brought together late 1980s and early 1990s hip-hop artists known for their positive-minded, Afrocentric lyrics. The show will reflect on the stories of their friendship and how their music played a part in culture then and influenced the music of today. Q-Tip is repped by CAA; DiCaprio is with LBI; and Hill is with WME and LBI. 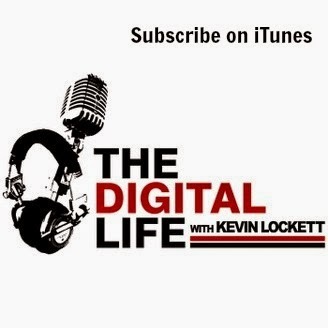 On episode 23 of the Digital Life with Kevin Lockett talks to Sportstechie.com's Stephen Davis & Simon Ogus on how all 32 teams are merging technology with their stadiums. From LEED and solar panels of the Eagles to the 49ers new Silicon Valley stadium to Legendary Entertainment going digital with the Steelers to Dan Gilbert crossing over from the NBA to work with the Lions on tickets, Stephen and Simon gives an insightful look into the NFL of the 21st century.